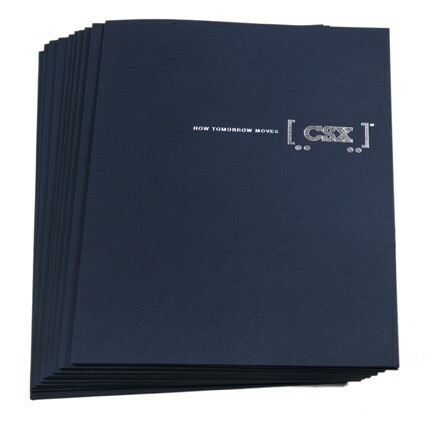 CT2331 - Pack of 10 Presentation folders. 9" x 12", 100 lb linen, 4" pockets with business card slot on right pocket. Dark navy with silver foil CSX HOW TOMORROW MOVES imprint on front cover. Sold only in packages of 10.